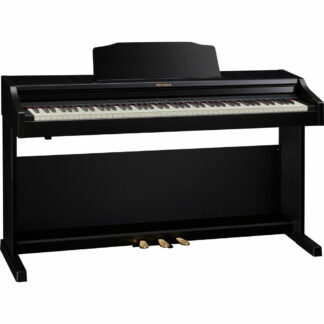 View basket “Roland RP102 Digital Piano” has been added to your basket. 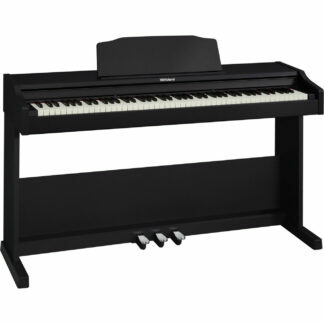 If you’re after a great first piano, look no further than Roland’s RP501R. 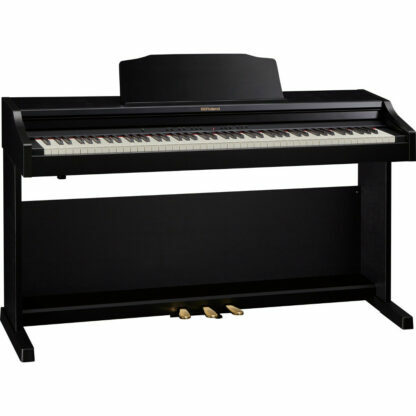 Not only will it act as an amazing beginning to your piano journey, it will also hold value as you become more serious in your playing. 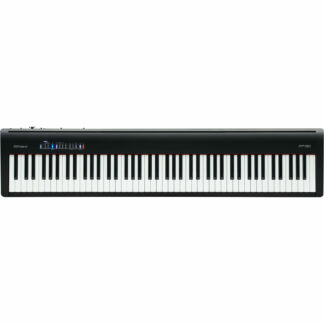 This digital piano offers a wealth of practice-friendly features to aid you as a developing player, with onboard rhythm accompaniment and Bluetooth® connectivity to iPad/Android piano apps, you’ll become a pro in no time! Where most starter level pianos end up being discarded for upgraded models as they’ve been outgrown, the RP501R satisfies your needs even as you grow in skill. 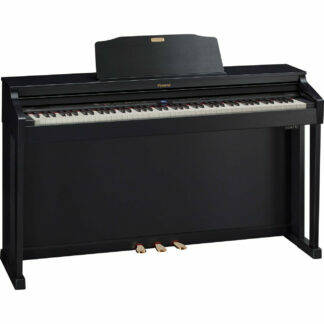 With a dynamic keyboard feel and authentic, responsive sound, this piano manages to contain all its premium features whilst remaining affordable and user-friendly. Here at Hickies, we have the RP501R in three finishes, Matte Black, Matte White, and Rosewood.